dance.net - Red Full Kilt with Vest and Socks--Like New! (10246635) - Read article: Ballet, Jazz, Modern, Hip Hop, Tap, Irish, Disco, Twirling, Cheer: Photos, Chat, Games, Jobs, Events! 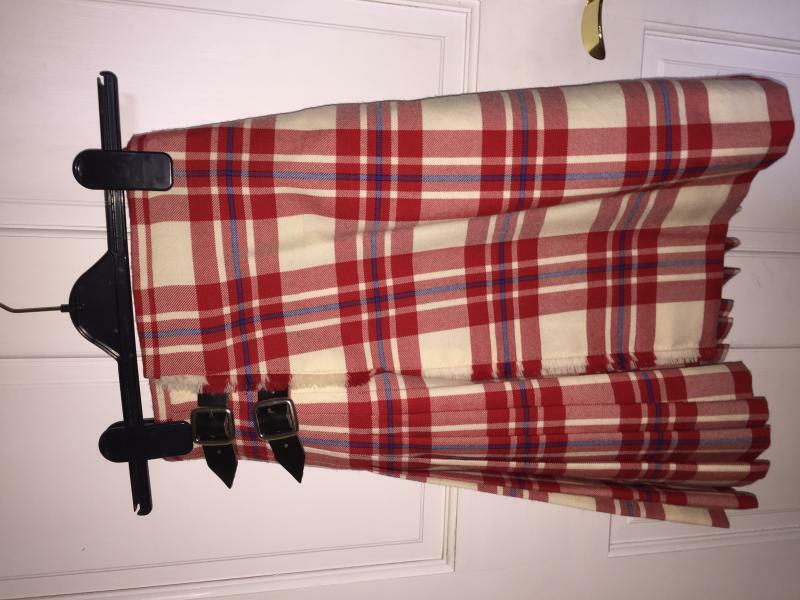 Red Full Kilt with Vest and Socks--Like New! Worn only a couple of times--Excellent condition, like new. 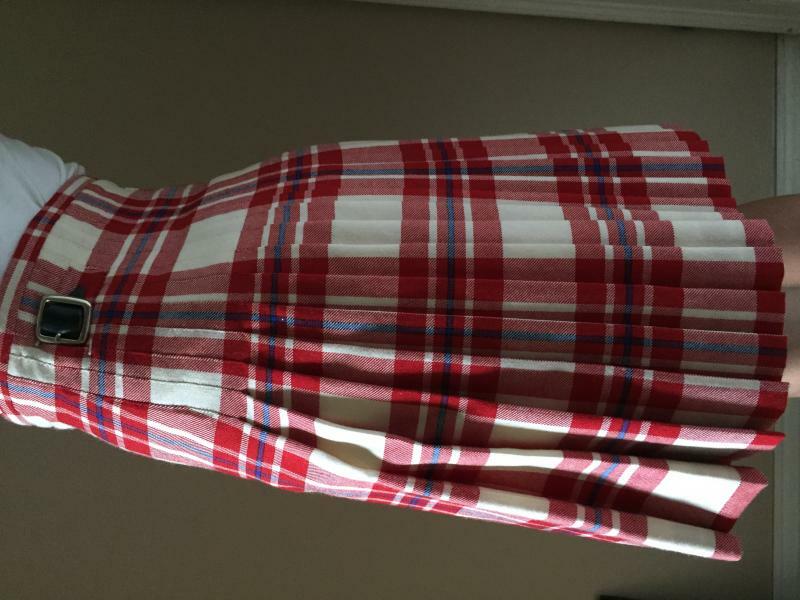 Tartan is "MacGreggor Dress Red". Kilt is custom made by Judith Sullivan. Excellent quality. 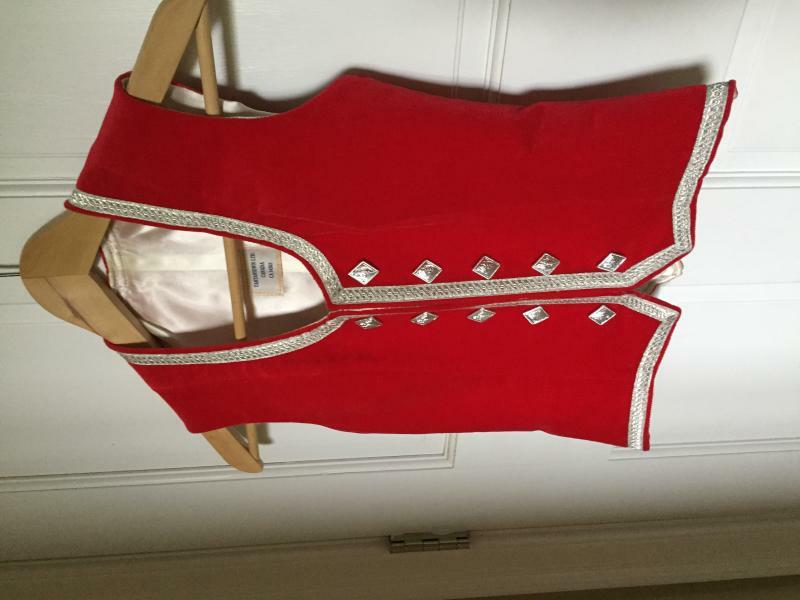 Vest is red with silver braiding and buttons. 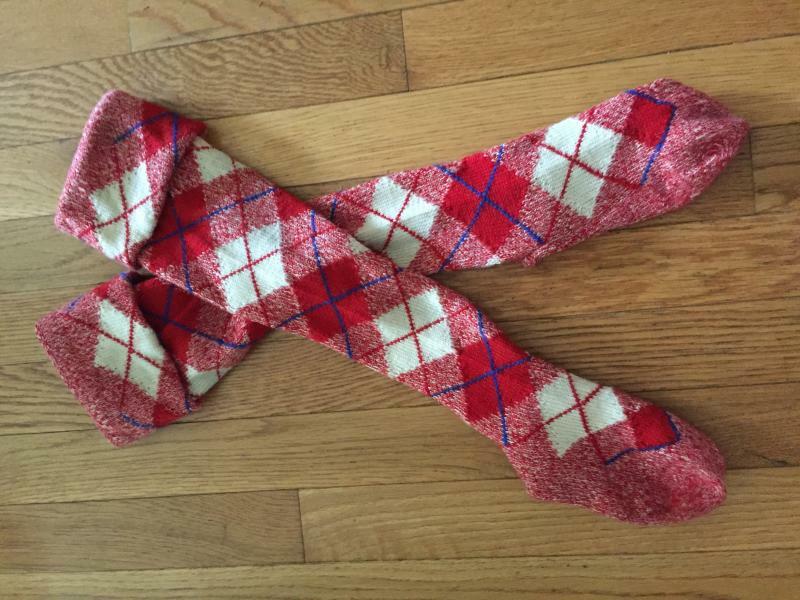 From TartanTown Ltd.
Socks match the kilt. Hand knitted. All Measurements are approximate and are in inches.